Finally ANOTHER blog post. It feels like forever, but I’m back at it. This post is a different take on planning. I wanted to share with you all my home management binder. The last time I used one was in 2014. I haven’t used one since. I’ve written down my expenses in various places. I have passwords either stored in my memory bank or on a sticky note somewhere. I was inspired by many of the systems I’ve been seeing on social media and there’s nothing wrong with having a central location. I’m not a mom nor do I have a lot going on in general, but a home management binder is a great way for me to stay on top of my expenses. Furthermore, there’s information inside that I need to easily access without going through a filing system. Let’s get to it. From my initial use, there’s a lot of things that I love about the Happy Planner a lot of things that I hate. There’s waves of craze in the planner word and while most people are Erin Condren addicts, the Happy Planner has not gone unnoticed this past fall. When the planner was first released I did not see a lot of reviews on it nor many planner spreads. All that picked up in the fall and really surged with the release of the box kits. Now on to the pros/cons. 1. Price | With a planner that has a similar layout to the vertical Erin Condren this is definitely in the price range for those wanting to try out that style. Most planners that I have used in the past have been vertical and after using the vertical style I’ll never go back. For those interested in the Erin Condren, but don’t want to pay $50, the Happy Planner is an amazing alternative at just half the price. Not bad for an 18 month planner. 2. Customization | The discbound system makes it easy to take the pages in and out which makes it easier for planning. Also with the discbound system you could use a Levenger hole punch and MAMBI will be releasing their own version, but you easily use a hole punch and scissors to add to the planner. 3. Layout | The boxes of the Happy Planner are longer than that of the Erin Condren boxes which gives more room for writing. 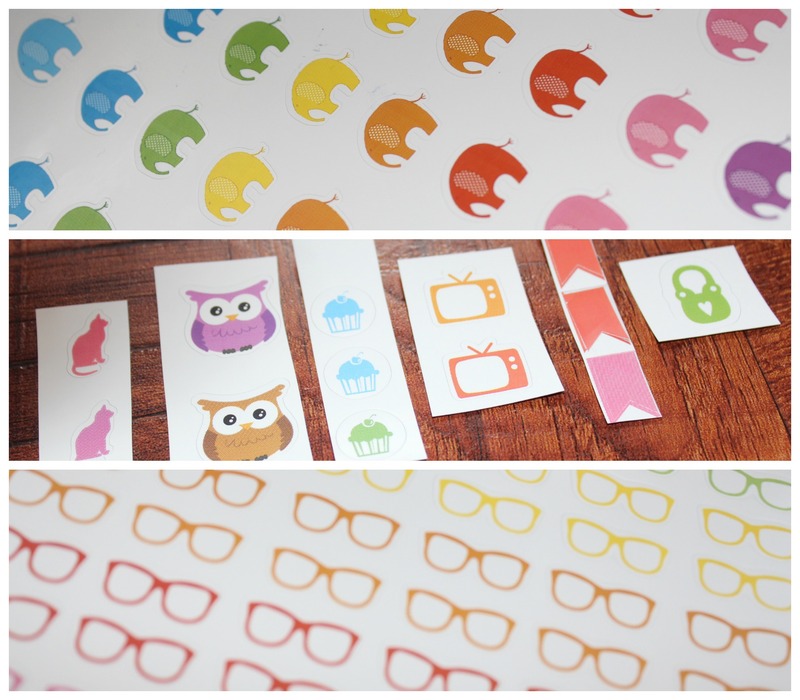 Whether you’re layering stickers or making a long to do list, there’s lots of space. I wish that the dated versions would have had the Morning/Afternoon/Evening on the side opposed to the corner (‘Good Things Are Going to Happen’ edition). You could easily cover that with washi. 1.COVERS! | I absolutely despise the covers of the Happy Planner. When I first received mine within a month the holes were coming a part as well as the edges. I contacted MAMBI in regards to my issue and thankfully they sent me another one free of charge. I purchased the additional covers from Hobby Lobby along with the expander rings hoping that would help, but the covers still didn’t stick and the planner was still too bulky. I plan on finding other cover options on Etsy and I still want to give the new matching MAMBI covers a chance. 2. Non-Laminated Tabs | For all those that are purchasing the Happy Planner now, have no fear the tabs are laminated. For those that purchased when the planner was first released, you’ve probably added packaging tape for a DIY lamination. I’m not sure why the tabs weren’t laminated to begin with. Definitely a downside for those that initially purchased. 3. Different Dividers | I have the ‘Good Things Are Going To Happen’ version of the Happy Planner and the dividers are horrible. I gifted a different Happy Planner for my friend and her dividers match for the various occasions throughout the year. I’m more into the holiday spirit and while I dislike the monthly dividers, I really liked that this version did not have the standard heading similar to the Erin Condren. I have since separated my planner from 2015 to 2016 and it’s like a fresh start creating layouts in January being that the planner is so thin. A part of me wants to try out the Erin Condren, but for the price point of the Happy Planner along with the various sticker options of the MAMBI brand, I’m content. Planner peace? Pretty much. Over on Instagram I came across Etsy shop Lily Daniel Designs was looking for bloggers/YouTubers to review some stickers. I emailed the shop and I was chosen to do so. These stickers were sent to me and I am grateful to be doing this review. Although these stickers were free, my opinion is not swayed and 100% honest. 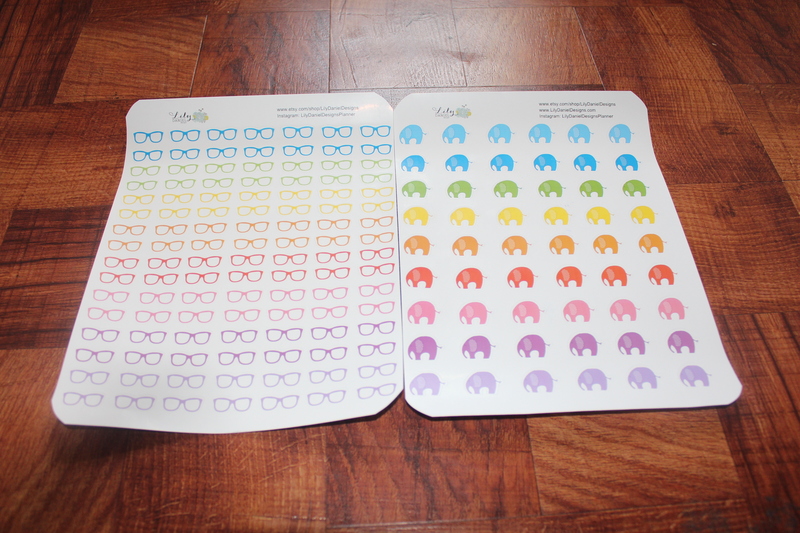 Below are closeups of the stickers and a detailed video review. Enjoy! Click HERE to get directly to shop.